Our Spring and Summer Term Junior Librarians were all awarded with a certificate this morning at our final assembly. Thank you for doing such an excellent job of monitoring the library. 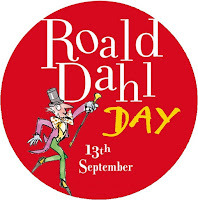 Roald Dahl Day is on Thursday 13th September. 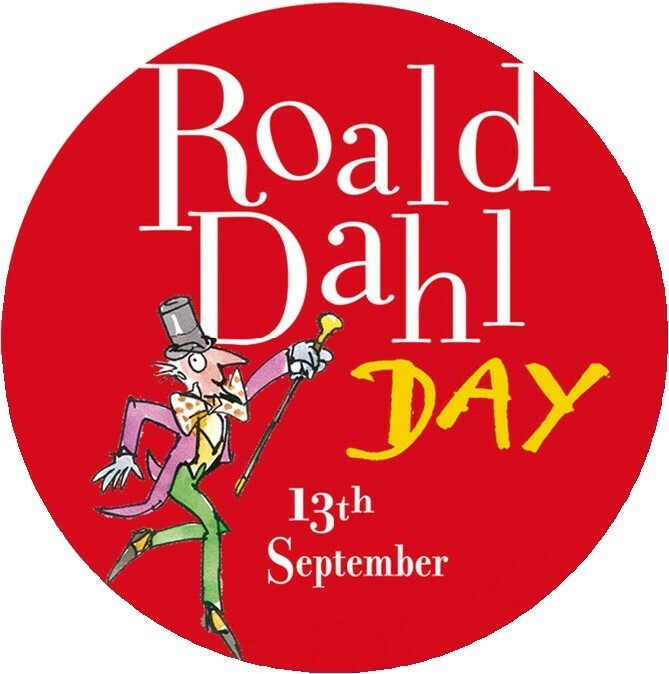 Roald Dahl Day takes place on 13th September every year and marks the anniversary of the birth of the world's number one storyteller. To celebrate we invite children in Year 1 - 6 to come dressed as their favourite Roald Dahl character. There will be a COMPETITION for the best costumes. So remember to think about costumes over the Summer Holidays and make this year's celebration a truly Dahlicious one! Piers Torday - author visit on Wednesday 19th September. 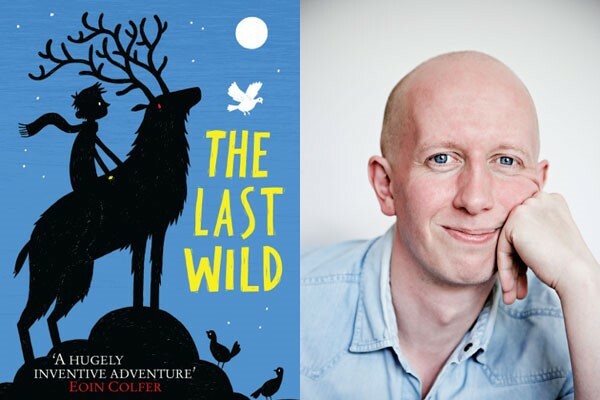 Award winning and best selling children's writer, author of The Last Wild trilogy, Piers Torday, will be coming into school to talk to children in Years 3 - 6 about his writing. 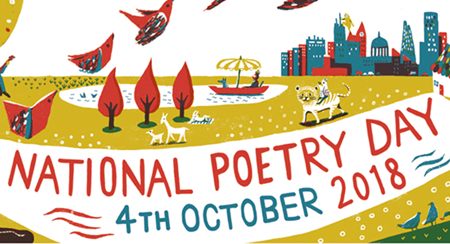 National Poetry Day on Thursday 4th October. 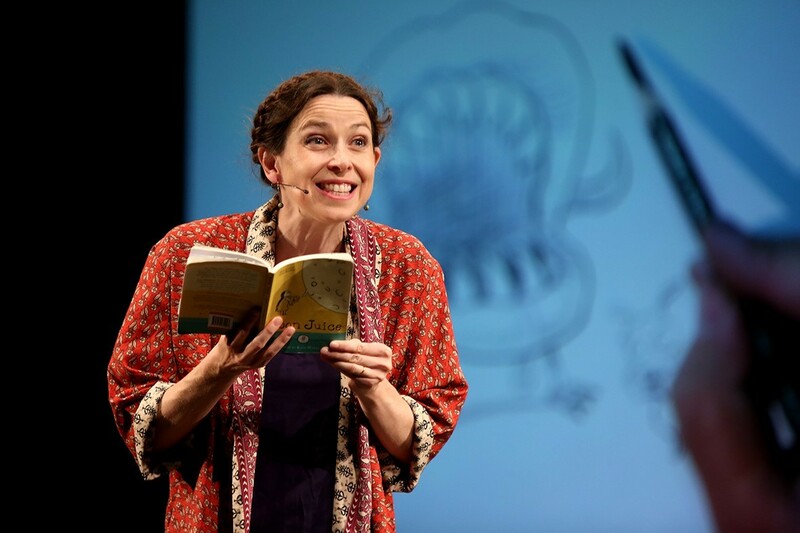 WINNER OF THE 2017 CLiPPA, THE AWARD FOR THE BEST CHILDREN’S POETRY BOOK, Kate Wakeling, will be in school to help us celebrate poetry and make the day extra special. 'Moon Juice' was her first poetry collection for children. We are very much looking forward to having Kate with us for the day and inspiring our children. Look out for more details about these events in September. Our second-hand book stall was a great success. We managed to sell most of the books that had been donated to the school. who set up and managed the stall. We also promoted the SUMMER READING CHALLENGE which is organised by the Reading Agency and Library Service. All children are encouraged to continue reading over the summer holidays. It is free to join in at your local library, read 6 books and win a certificate and medal. 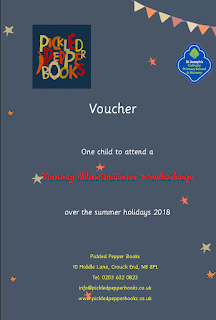 A huge THANK YOU to Pickled Pepper Books who donated a prize for the raffle of a voucher for one of their 'Young Illustrators Workshops. Thanks for joining in with the Summer Fair. On Monday at a special assembly we launched the 2018 SUMMER READING CHALLENGE. 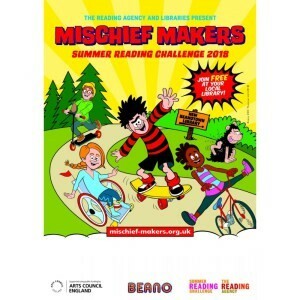 The SUMMER READING CHALLENGE, which has taken place annually since 1999, aims to help children to retain their reading skills and confidence while school is out. 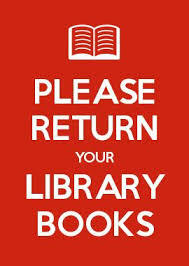 Organised by the Reading Agency and run in partnership with the UK public library network, the campaign seems three quarters of a million children take part each year. 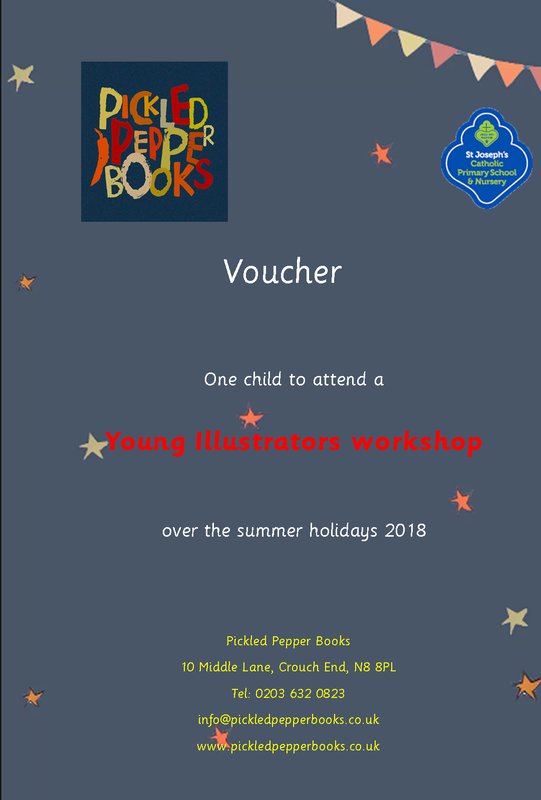 Children are challenged to read at least SIX library books over the summer and collect prizes, such as stickers along the way to earn their final challenge certificate and medal. Each year, the SUMMER READING CHALLENGE has a new creative theme. 2018 will see the Challenge focus on mischief and pranks, as inspired by the much-loved iconic children's title Beano marking it's 80th anniversary. We invited two librarians from our local Islington library at Archway to come into school to talk to the children about joining in with 'Mischief Makers' Summer Reading Challenge. They explained how to join in and showed the children a fun video. At the end of the assembly all the children who had joined in and completed last year's Summer Reading Challenge and/or Winter Reading Challenge were presented with a certificate.